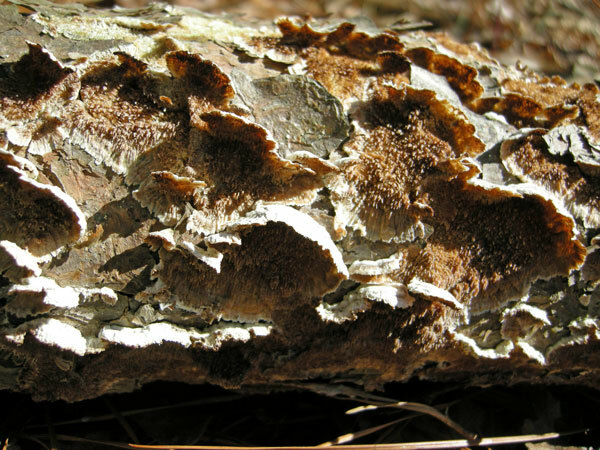 Bands of gray / whitish-gray, semicircular, thin fruiting bodies covered with soft white hairs. Violet / purplish tooth-like fertile surface, bleaching in age (J. Solem, pers. comm.). Compare Trichaptum biforme. This species is only found on coniferous wood (L. Biechele, pers. comm. ).